Property 66: Bright, newly built apartment. Only a few meters to the beach! Property 79: Apartment No. 8 - Apartment "Jacques"
New !! 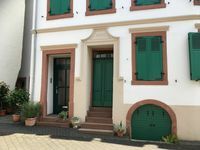 Spacious holiday home in a fantastic location on the Eifel National Park. Property 93: New !! Spacious holiday home in a fantastic location on the Eifel National Park. -The location is hard to find and the outside is not clearly labeled,with regards to where the appartment is located . +The host was generous and welcoming. The appartment was clean and comfortable, well lit and spacious with a comfy bed, with a dining table, a fridge, large TV, washing machine and all the facilities within this beautifully new furnish. Super market is nearby. It is highly recommended.